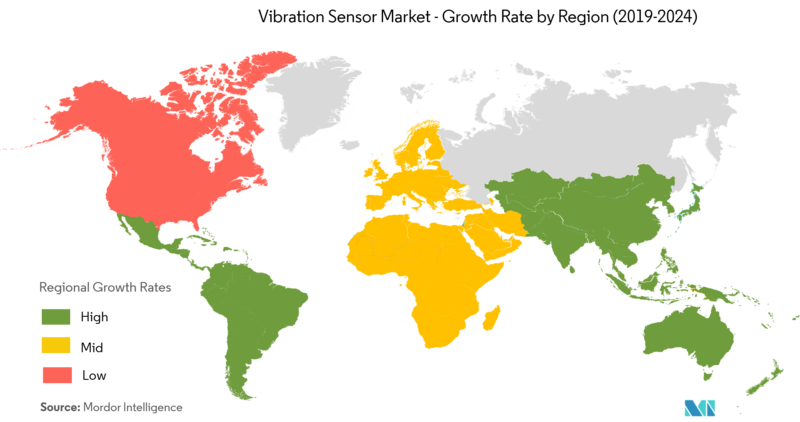 The global vibration sensor market was valued at USD 3,354.73 million in 2018, and is expected to reach USD 5,150 million by 2024, registering a CAGR of 7.39% over the forecast period (2019-2024). In an increasingly competitive industrial market, where new features are required to produce ‘smarter’ tools, monitoring the condition of various components has become a fundamental need. This is expected to boost the demand for vibration sensors over the forecast period. The innovations and developments in technology led to better functioning and improved the productivity of machines. Thus, machine condition monitoring plays an important role in improving the machine’s performance. Although the demand for vibration sensors has been on the rise since the last few years, compatibility concerns, especially in the case of old equipment, have been identified as major challenges affecting the market. With the increasing energy demand, there is an increasing need for energy efficiency, which can only be obtained from the optimal maintenance of the electricity supply machinery. Vibration monitoring and analysis are the important quality measurement phenomenon in modern industrial infrastructure. The three parameters that represent vibration monitors are velocity, acceleration, and displacement. The selection of the sensor is proportional to velocity, displacement, or acceleration, which depend on signal levels and frequency that are involved. Increase in situational awareness to drive operations, cost-effective maintenance, and increase in asset utilization are some of the key factors driving the demand for aircraft health monitoring systems. The passenger traffic in Europe and other major aviation markets, such as the United Kingdom and Germany, have witnessed growth in terms of the number of passengers and aircraft movements, which is expected to drive the market during the forecast period. Turbine engine failures are the primary cause of mechanical failures, which is increasing the costs; hence, users are increasingly turning to prognostic health management (PHM) systems to prevent these losses and to reduce maintenance costs. As vibration is the most common health monitoring parameter in the aerospace engine industry, the development of PHM systems is likely to have a direct impact on the growth of vibration sensors. The United Kingdom is home to the largest aerospace industry; with almost one fifth of the global revenues being generated form aerospace; the country is preceded only by the United States. Advanced vibration sensors are used for harsh application environments, like rotor track and balance (RT&B) in aircraft. 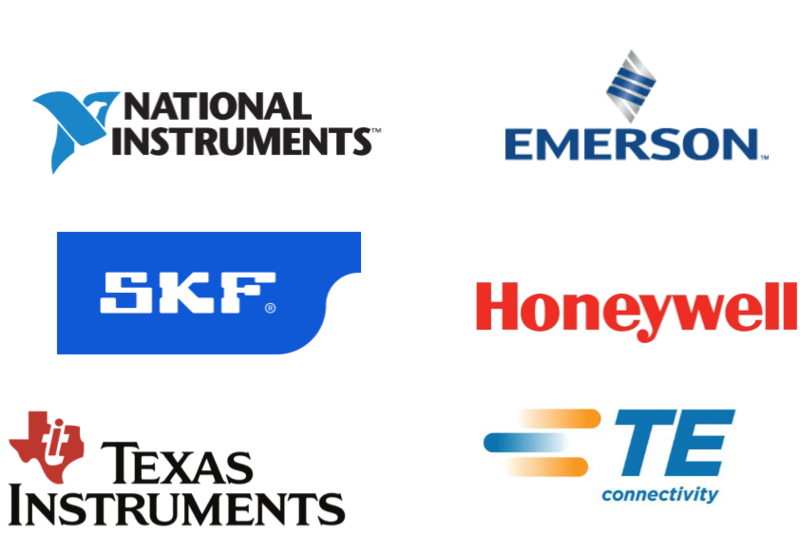 They also serve applications in aircraft design and testing, offering both DC-response (static) and AC-response (dynamic) types of accelerometers. Growth of consumer electronics in the country has led to a rise in vibration sensors being integrated in the appliances. In 2016, retail volume growth of wearable electronics was driven by activity wearables, with 2.2 million sold products in the United Kingdom. 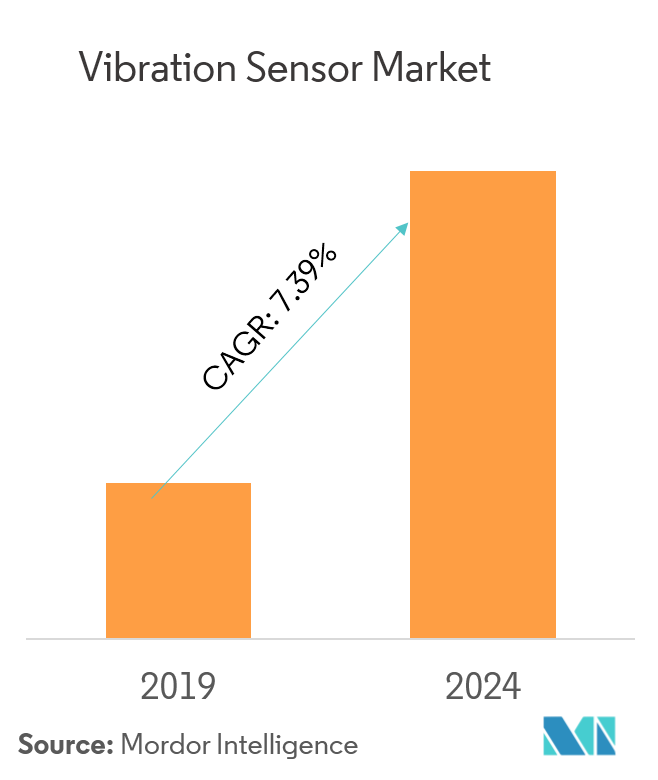 The vibration sensor market is highly fragmented. 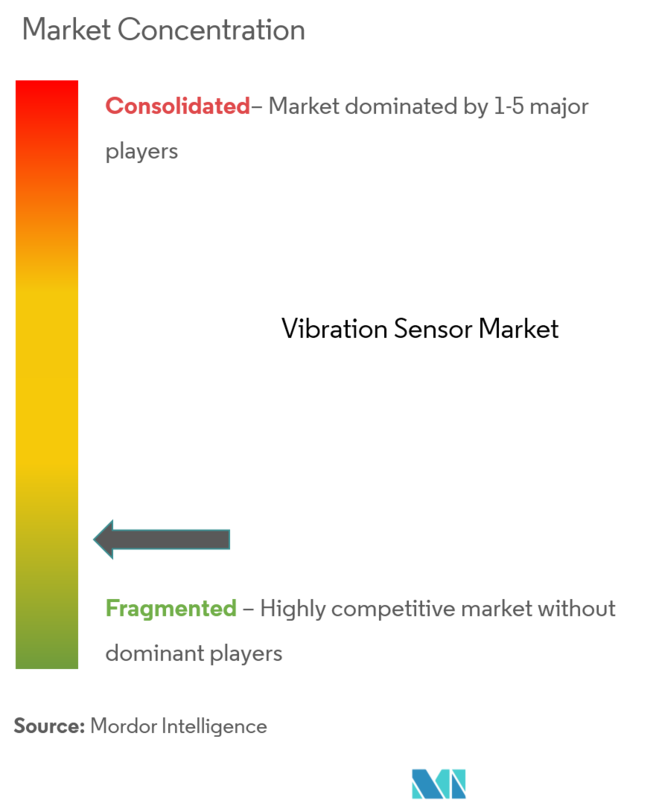 The presence of global sensor manufacturers, with established brand identities in the market, is expected to have a profound influence on the intensity of competitive rivalry, as new entrants face challenges in reaching out to consumers. Brand identity plays a strong role in determining buyer behavior. Analog Devices Inc. announced a next-generation accelerometer, designed for long-period monitoring of the physical condition of high-value assets. With its extremely low-power capabilities, the ADXL372 micropower high-g MEMS accelerometer targets Internet of Things (IoT) solutions, where shock and impact on a unit during storage, transit, or use would adversely affect its function, safety, or reliability. Texas Instruments introduced the industry's highest performing reinforced isolated amplifier in June 2016.